Qatar International School is proud to have hosted its first internal conference, running from the 28thof February to the 1stof March. 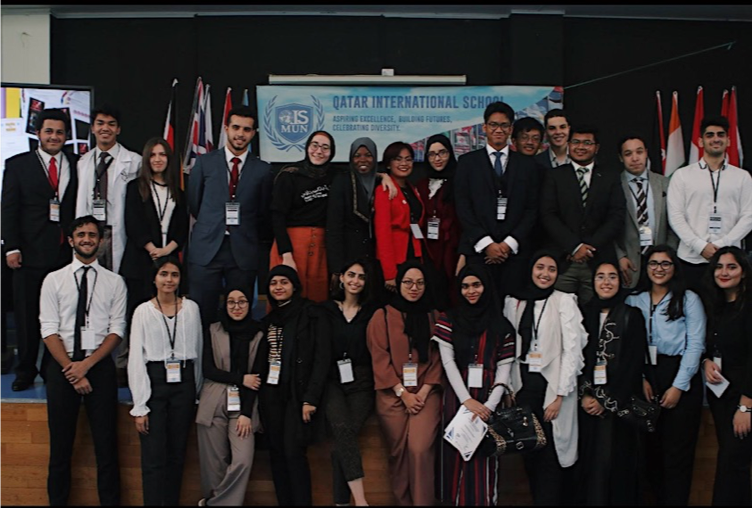 With approximately 150 attendees and the majority of delegates being those who have only been recently exposed to the world of MUN, our goal was to create a learning environment in which delegates are motivated to speak fearlessly. Deputy Secretary General, Diovandi Basheera Putra with one of our keynote speakers, Al Jazeera Human Rights Defender Mr. Hassan El Mogummer. 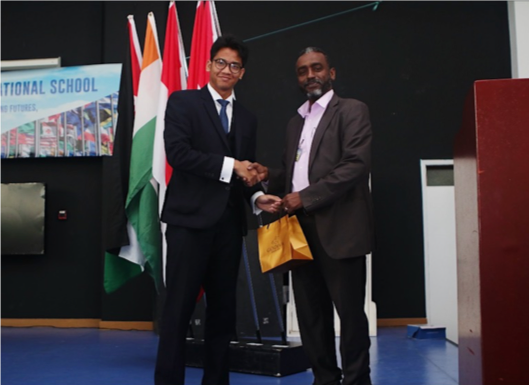 In the rise of popular media and the face of an opinionated society, the skills learnt in MUN can definitely transform someone’s ability to rise after their mistakes and failure. This is why we have chosen a theme that embodies the persistence of humanity throughout history: Rising from Our Falls. 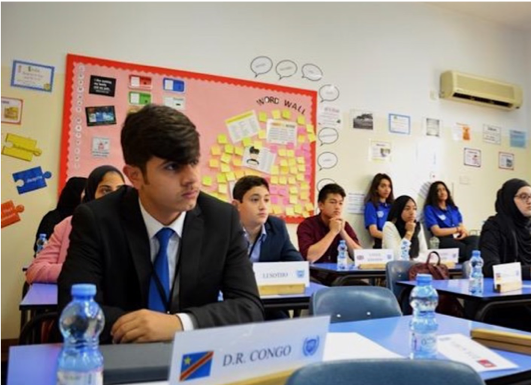 It highlighted ongoing issues like gender violence, as well as notorious ones like the Iraq Disarmament and the South African Apartheid – both of which were heatedly discussed in the Historical Security Council. 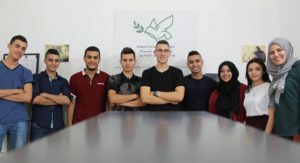 The Executive Team and some of our Student Officers. 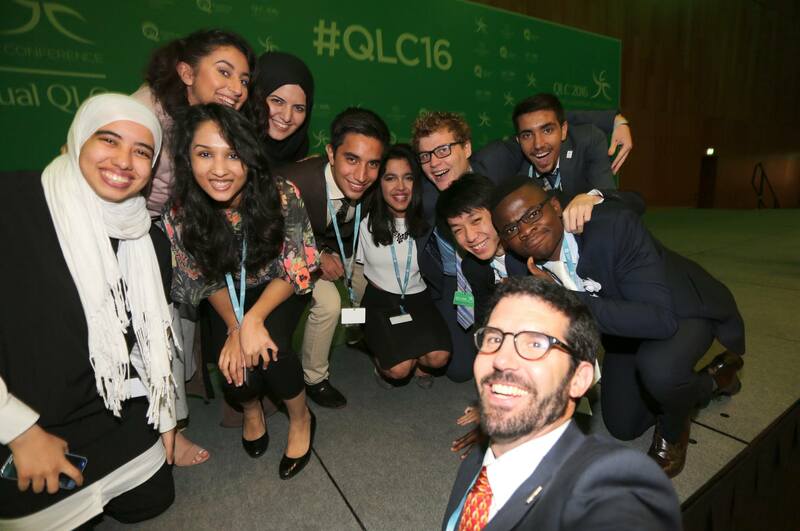 QLC 16 has been a very special conference for me! 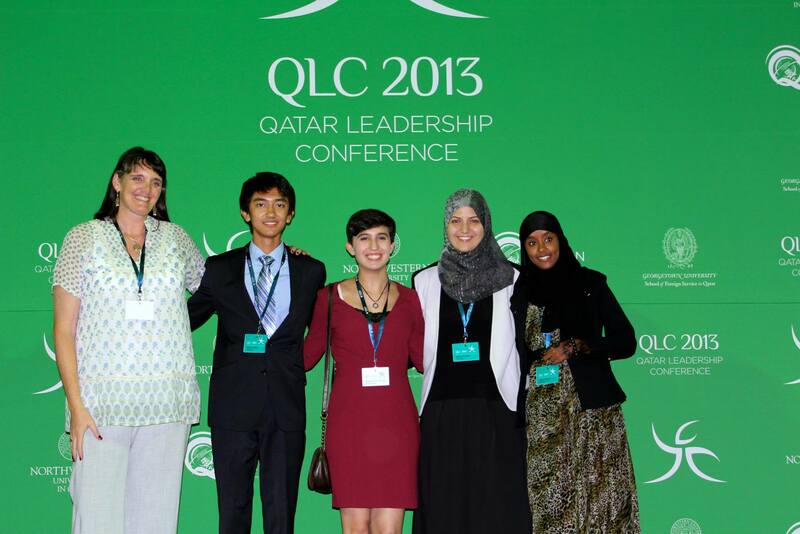 Ever since attending QLC 2013, my first time in Doha, it was a life changing experience and the path to a great journey ahead. 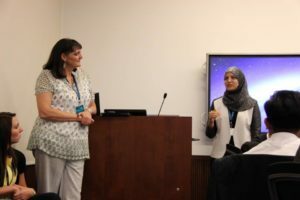 In QLC 2013, being a fresh graduate from High School about to start university, I presented about my life growing up as a Muslim Arab in a Jewish country – Israel. 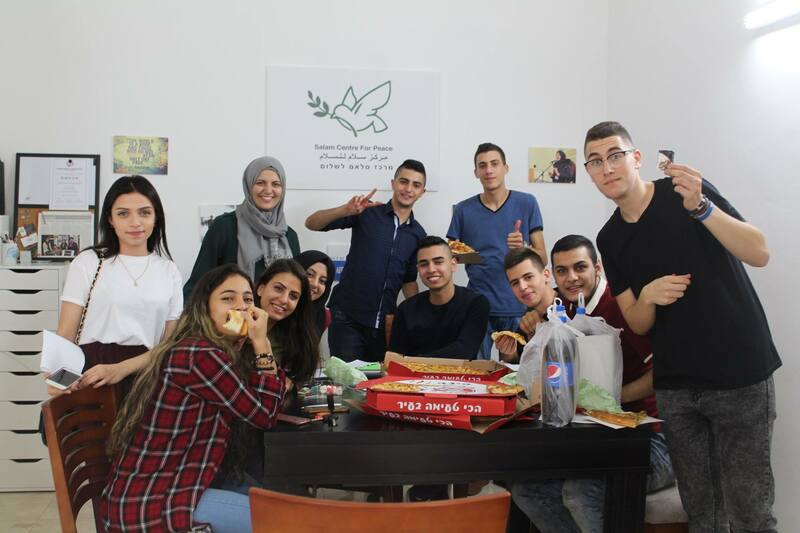 I shared my story, the things that I personally went through growing up and the nationality politics of the conflict, how it affected me living in the country, traveling as well as introducing myself in other countries especially to fellow Arabs or Muslims. The responses I got were very surprising, surprising to learn that almost the majority of my first audience had no clue that there is an Arab minority in Israel. I received many questions, but at the same time, everyone was very welcoming and open to learning about it. I made friends from Arab countries at QLC 13, meeting them changed my perspective, and for them to meet me completely changed their perspective as well! Ever since that amazing experience at QLC 13, I wanted to bring more students like me to share their voice and story with as many students as possible, as a way to raise awareness, encourage dialogue and promote peace. 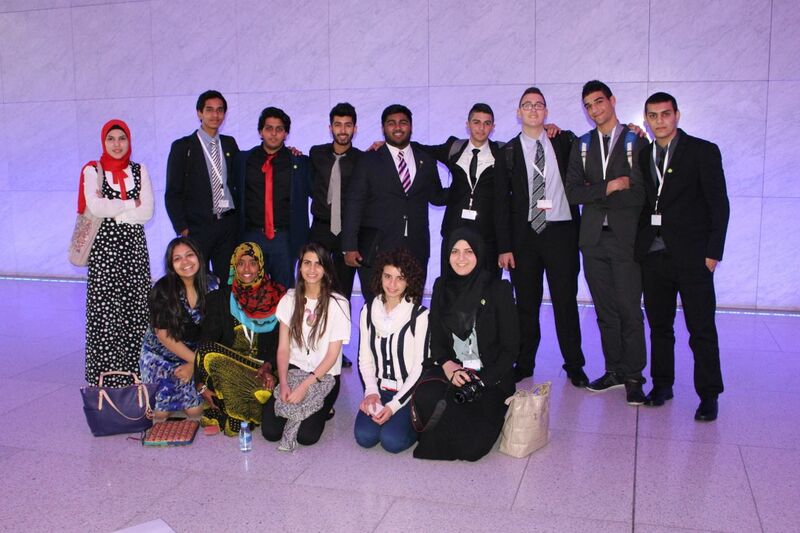 After getting back home from QLC 13, I was getting ready to start university and at the same time help arrange an Online delegation to THIMUN Qatar 2014, I managed to bring two students from my old high school to attend TQ14, and it was an unforgettable and amazing experience for them.They made friends at the conference that they are still in very good contact with until today! 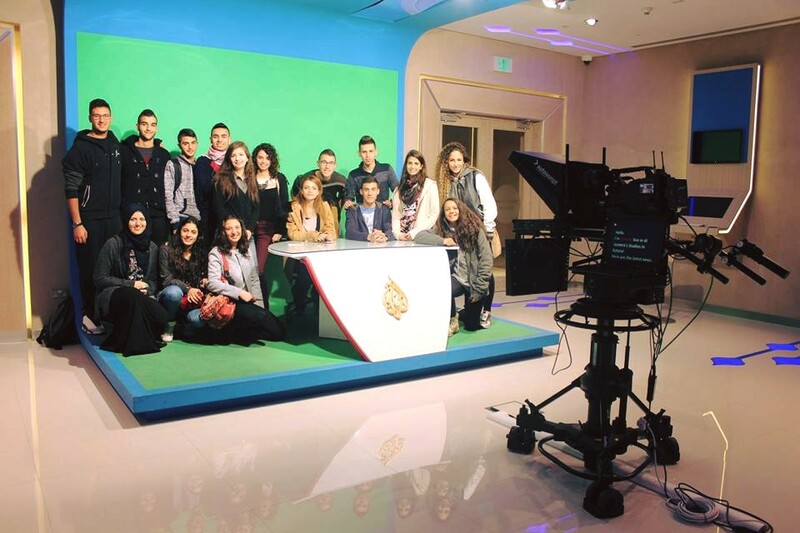 Once Again, I joined QLC 2014 to talk about the same thing from QLC 13 but expand and add to it my university experience of studying at Tel Aviv University. The responses I got were again very motivating and encouraging for me to do more. 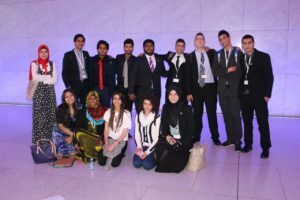 Even though I was very busy and stressed after going back from QLC 2014 to start my hectic schedule of university, I was already planning and arranging the next delegation from my area for THIMUN Qatar 2015 through Online MUN. I managed to get seven students, three girls, and four boys. Lives were changed, long lasting friendships were created and huge impacts and memories were made. I remember some of my student’s teary eyes when we were leaving! 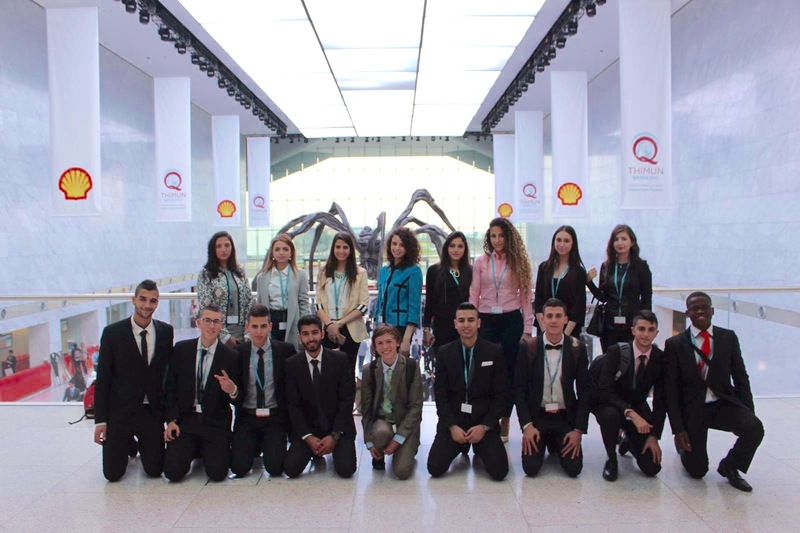 Time flew by with the workload of studies and it was time for another inspiring QLC, I arranged a delegation of 3 students to QLC 15, and at the same time was arranging the biggest delegation for THIMUN Qatar 2016. 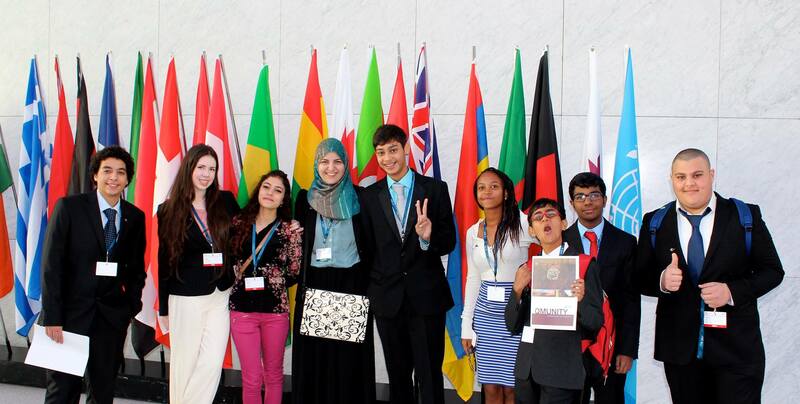 For TQ16, again through Online MUN, I managed to get and train 13 students from my area, seven girls, and six boys. Another unforgettable and amazing experience! Now with arranging the delegation to THIMUN Qatar 2017 and finally graduating from university, I wanted to arrange my own complete delegation, so I founded a new centre called Salam Centre for Peace. 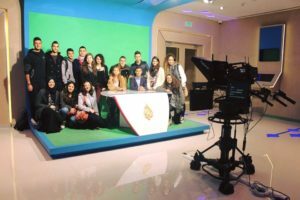 One of the goals of this centre is to give the students a place to meet and train rather than doing it all online. 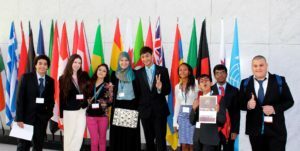 The leadership team of this centre is compromised of students I trained and traveled with to international conferences such as THIMUN Qatar. 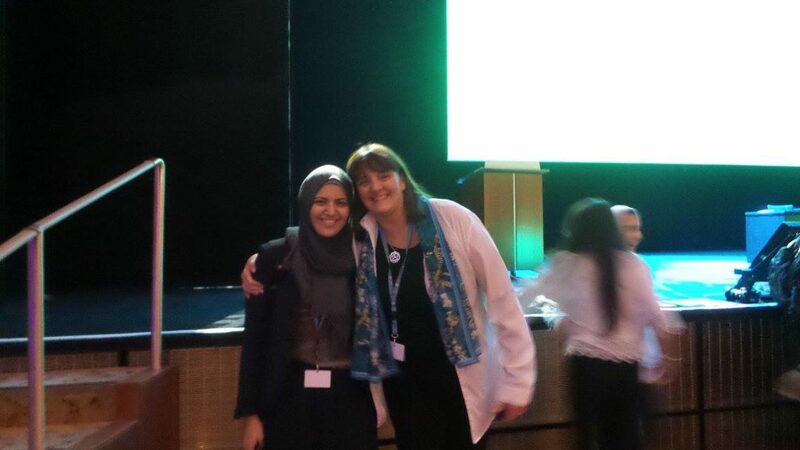 Ms. Lisa Martin, head of THIMUN and the person who got me involved in my first QLC, who inspired me to follow my dreams, made me believe in myself and gave me the strength to take risks and try new things every time! A true leader in my eyes that I will always look up to! 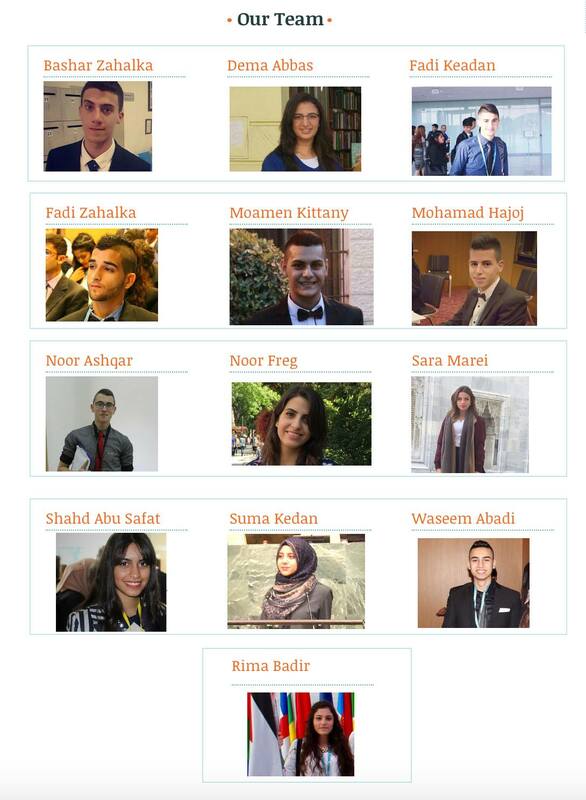 She pushed me to do things I never did before, giving a speech in front of a huge committee in THIMUN the Hague 2013, presenting about my life at a Leadership Conference, arranging delegations at the age of 19 and more! If it weren’t for her, I would not be where I am today; I learned so many valuable lessons from this amazing person, and I appreciate everything that she has done for me and many other students like me. She’s the one behind all of it for me and many other new initiatives and inspiring organizations for youth around the world. 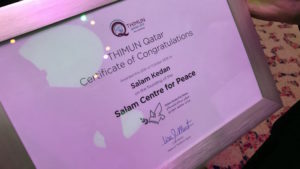 I joined QLC 16, my 7th time in Doha now, to present about the new centre and our upcoming plans and events for connecting youth and building relations through joining MUN conferences and arranging peaceful and guided intercultural workshops. 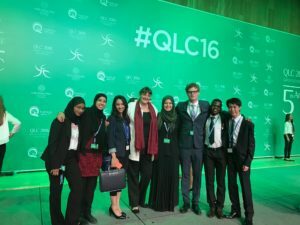 During QLC 16, Ms. Lisa Martin called me up to the stage to congratulate me on founding the centre in front of everyone giving me one of the most pleasant surprises I ever received! Currently, we are working in process on arranging our delegation to TQ17 and our next delegation after it to WIMUN 2017! We can’t wait to see what the future holds for us! I would like to thank everyone who believed in me, my wonderful students and amazing leadership team as well as give special thanks to Ms. Lisa Martin for everything that she has done! One more thing that made this QLC 16 extra special was the reunion and meeting face to face for the first time some of the leadership team from Online MUN! A big online loving and very supportive family that it is always wonderful to meet and catch up!